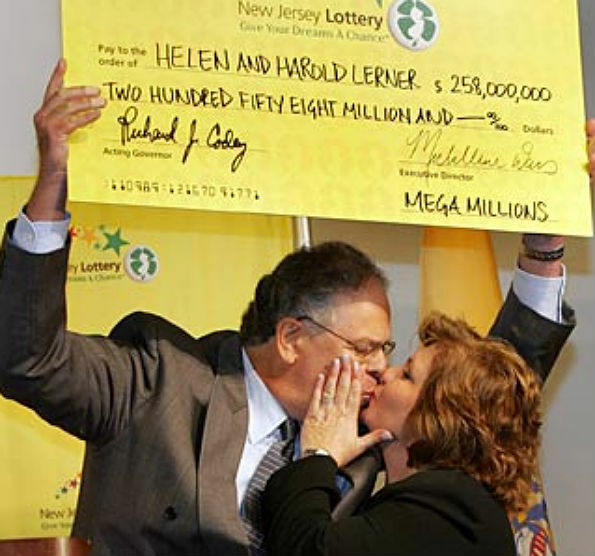 We did an unofficial survey of winning couples receiving their check at lottery headquarters round the world. The first surprise was how few photos there were of couples kissing. Of the 330 photos of winning couples we found, only 8 of them had puckered up for the camera. 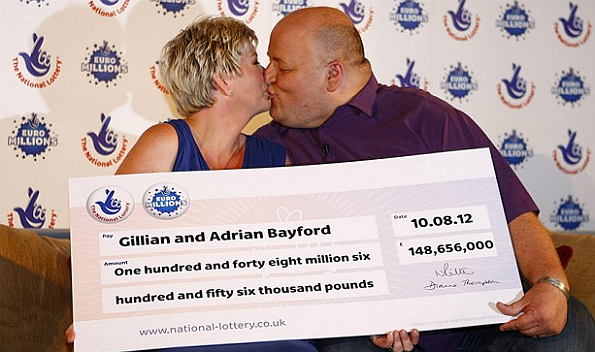 That's just 3% who had kissed for their official lottery photo. 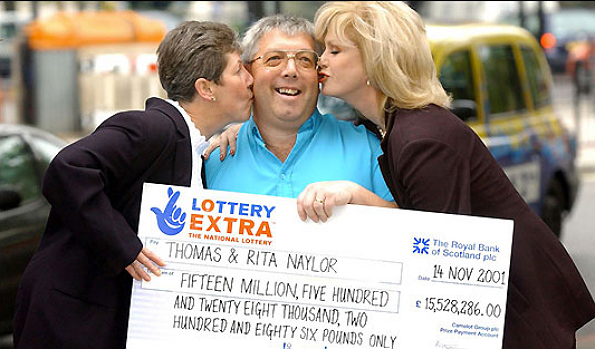 And another surprise - we found photos of only British or American lottery game winners receiving their checks. There were no other nationalities, and this is because only a few lotteries require their winners to show up publicly. Players in most other games can remain anonymous. 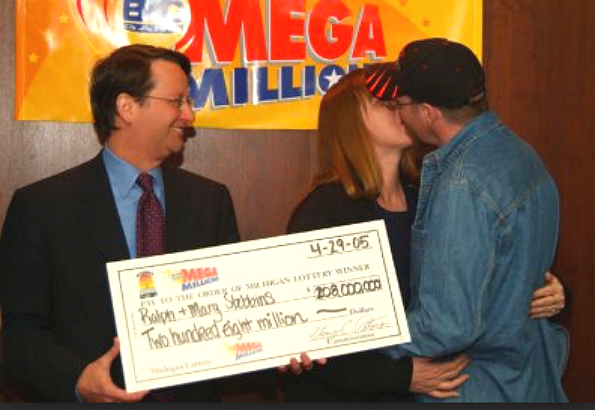 Only 2 only out of these 10 photos were American lottery winners. 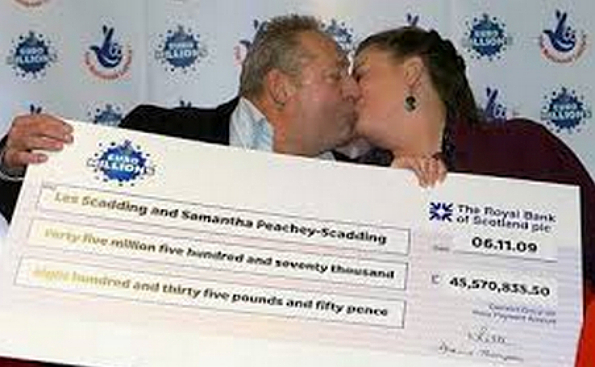 This left the 8 normally reserved Brits as clear winners in the kissing stakes. But the question remains - why? Is it because British photographers are more demanding? But the U.S. paparazzi can be just as aggressive given the chance - just ask any celebrity. It remains an interesting puzzle!